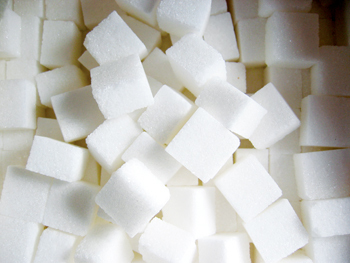 A sugar refinery coming up in Jizan, southwest Saudi Arabia, plans to export two-thirds of its output. “At the moment the design is complete and financing is ready and we will start scratching the ground in April this year to hopefully produce sugar by the end of 2017,” Sufian Ibrahim, project manager of Al Reef Sugar Refinery, told Reuters on the sidelines of the Platts Kingsman Dubai Sugar Conference. At full capacity, Al Reef is expected to refine 3,000 tonnes of sugar a day. Al Reef will initially refine raw imported sugar, but in the long term it plans to acquire agricultural land in East Africa to grow its own cane sugar crop. “Sugar is a matter of food security for Saudi Arabia and so the long-term vision of our company is to produce the sugarcane itself by investing in East African countries down the line,” Ibrahim said. Gulf states, dependent on imports for 80 to 90 per cent of their food, have poured cash into buying tens of thousands of hectares of cheap farmland and other agricultural assets in the developing world, mainly Africa, for years. The $400 million project is looking to capitalise on low energy costs in the world’s top oil exporter and the advantages of its Red Sea location. “In terms of procuring raw sugar and bringing it in and sailing sugar out, this is very flexible for shipment and the energy costs in Saudi are low, which is an incentive for any refinery,” Ibrahim said. The new plant adds to a stream of projects that will significantly raise the Middle East’s refining capacity. The region’s consumption stands at 15 million tonnes a year, with refining capacity of 12.5 million tonnes. Substantial new capacity for sugar refining is expected to come on stream in the next few years with projects planned in Oman, Saudi Arabia, Iraq and Algeria. Saudi Arabia has a major sugar refinery in Jeddah – Savola Group’s subsidiary United Sugar Company – which is in the process of boosting its annual production by 41.6 per cent from 1.2 million tonnes to 1.7 million tonnes.